You Can Now Apply for the AMEX SimplyCash Plus Business Card and Earn Cash Back on Large Purchases! Great news! Starting today, you can apply for the new SimplyCash® Plus Business Credit Card from American Express. Over the past few months some folks have received targeted offers for this card. But it’s now available to anyone with a small business! Note: It appears the regular AMEX SimplyCash card is currently not available to new applicants. Having More Cash Back Credit Card Options Is Always a Good Thing! I’ll explain the details. And recommend who might consider applying for this card. The AMEX SimplyCash Plus small business card offers $250 cash back (in the form of a statement credit) after spending $5,000 or more on purchases within the first 6 months of opening your account. Some folks might be targeted for a better sign-up bonus. So check your email and snail mail! A friend received a targeted email offer. And the sign-up bonus was a $300 statement credit after spending $3,000 on purchases in the first 3 months of account opening. 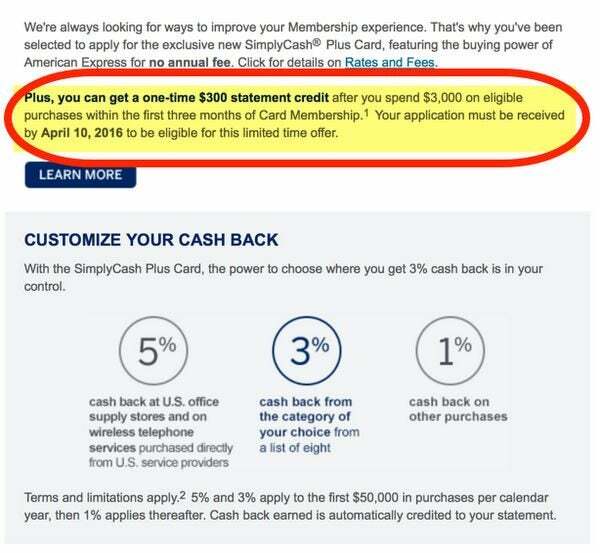 That’s a better deal than the current public sign-up bonus for the AMEX SimplyCash Plus. The AMEX SimplyCash Plus is similar to the regular AMEX SimplyCash card. With the exception of the “buy above your credit limit” benefit, expanded bonus categories, and higher cash back limits. It appears you can no longer sign-up for the regular AMEX SimplyCash card online or by phone. I spoke to an AMEX representative this morning and they said they could no longer access the regular card for new applications. What Does “Buy Above Your Credit Limit” Mean? With the AMEX SimplyCash Plus card you’ll be able to spend above your credit limit without any over-the-limit fees. Which could be helpful for small business owners trying to grow their business! Say you’re a contractor and have a $10,000 credit limit on your new AMEX SimplyCash Plus small business card. You currently have a $8,000 balance, leaving you with $2,000 to spend, up to your credit limit ($10,000 – $8,000). You want to expand your business and need a piece of large machinery, like a $45,000 excavator. With the “buy above your credit limit” benefit, AMEX may approve you to use your AMEX SimplyCash Plus card to buy the excavator and spend $43,000 OVER your credit limit ($45,000 excavator – $2,000 credit available = $43,000). And earn cash back on the ENTIRE purchase amount without being charged any fees for exceeding your credit limit! That gives you a lot of buying power! Having the Option to Spend Above Your Credit Limit Is Great When You’re Growing Your Business! 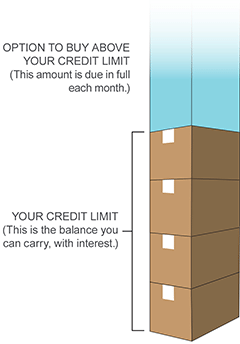 Note that the amount you can spend over your credit limit is NOT unlimited. 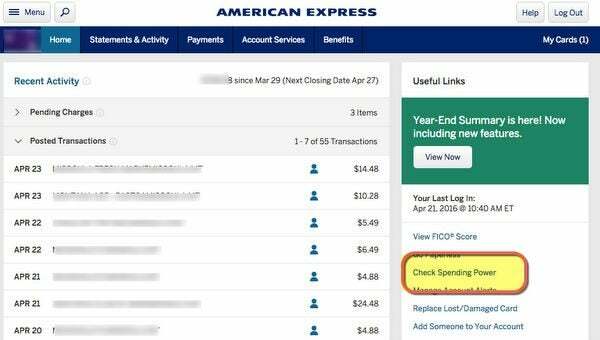 AMEX will adjust the amount you’re allowed to spend according to things like your card use, payment history, and credit record. And while the amount you can spend beyond your credit limit varies based on those factors, you can check whether you can use your card to pay for a particular purchase. Just go to the “Check Spending Power” section of your online account or call the number on the back of your card. That way you can avoid the embarrassment of having your card declined for going over your credit limit! Remember, you’ll have to pay off the amount you spend over your credit limit in full each month. Like a charge card. If you have a small business and are looking for a no-annual-fee card, the AMEX SimplyCash Plus is a great option. It has the same $250 sign-up bonus as the original AMEX SimplyCash card, but you can earn more bonus cash back and it has more flexibility for business spending. The “buy above your credit limit” perk is great for folks who are growing their business or even just starting out. Because you can spend WELL over your credit limit and have access to credit when opportunities come about. That way you can do things like improve your workspace and buy whatever you need to take on bigger jobs! Plus, you’ll get cash back (as a statement credit) on every eligible purchase, no matter how big. I’ve even written about the best small business cards for shipping expenses and travel! Do You Spend a LOT in the Cash Back Bonus Categories? If you spend a LOT in the bonus cash back categories, the AMEX SimplyCash Plus is a better choice because the yearly maximum purchase amount in the 5% and 3% categories is higher. It’s $50,000 in each category for the AMEX SimplyCash Plus and $25,000 for the regular AMEX SimplyCash card. Essentially, the cash back cap in bonus categories with the new Plus card is $4,000 per rebate year (5% of $50,000 + 3% of $50,000). And $2,000 (5% of $25,000 + 3% of $25,000) for the regular version. 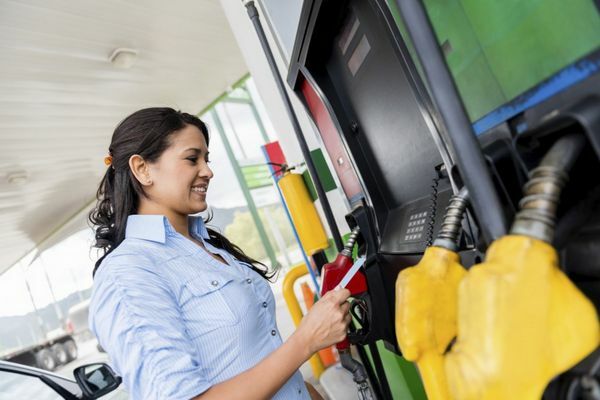 If You Spend A LOT in Bonus Categories Like Gas Stations, The AMEX SimplyCash Plus Card Could Be a Great Choice! So you’d have to spend a LOT of money in the bonus categories to earn the extra cash back available with the Plus version! 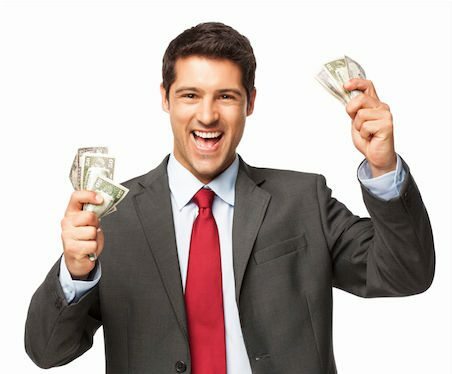 Do You Have Large Purchases Coming Up? If you have plans for a large purchase that would exceed your credit limit, the AMEX SimplyCash Plus is the best choice because you’d have the ability to spend above your credit limit. The regular AMEX SimplyCash doesn’t allow that! Do You Spend a Lot On Hardware, Software, or Cloud Computing? If your business spends money in these categories, the AMEX SimplyCash Plus is a great option. Because you’ll earn 3% cash back in these categories with the Plus version of the card (if you choose it as your 3% category), but NOT with the regular version. What If You Already Have the AMEX SimplyCash? Remember, American Express recently changed their application rules for small business cards. So you can only earn the bonus once per lifetime, like with AMEX personal cards. But if you already have an AMEX SimplyCash card, you can earn the bonus on the AMEX SimplyCash Plus because they’re considered different card products. You can now apply for the AMEX SimplyCash Plus card! It’s another great no-annual-fee cash back option for small business owners. The AMEX SimplyCash Plus card is best for folks who spend a lot in the cash back bonus categories. Or who want to make big purchases to grow their small business. If you’re considering this card and receive a better targeted bonus for the AMEX SimplyCash Plus card, it’s a no-brainer to apply for the better offer. Do you plan on signing up for this new no-annual-fee cash back card? @ Cally — Inquiries for applying for business cards generally show up on your personal credit report. The actual open business lines of credit may or may not show up. None of my American Express business accounts show up on my personal credit report, but my Capital One Spark Visa does show up as an active revolving line of credit on my personal credit report. So the answer to your question is probably yes. Although like most things in the points world, it could depend. Does Chase’s ~5 card limit include bisiness cards like this one from AE if your biz uses your SSN? Thx! Got a targeted offer for $500 for 5k spend with this card about a month ago. Working on it now.